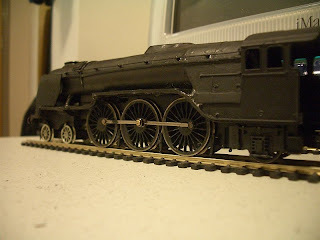 THE BRITISH RAILWAY STORIES LTD: "Great Northern's Return"
I was finding it rather depressing looking over at the model on my desk, only half built. So I did a bit more work on it. It still needs lots of work, 60113, but at least it has a reasonable representation of its running plate and front bufferbeam now (and a decent set of deflectors, at last! That I need to re-file to fit). I have started to change my mind about the colour I should be picking. I think, rather than the blue, I might go for the brunswick green instead. I wanted it to be a "bit different" to other depictions of the lone A1/1, but perhaps I could save the express passenger blue example for when I get a proper kit of it. 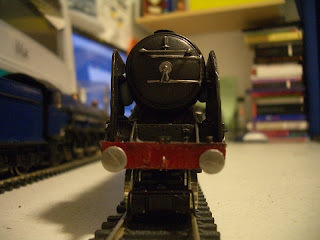 Then again, I could paint both of them blue and show how bad my modelling was in the early days! PS. 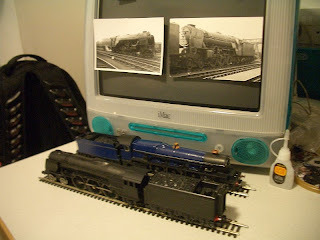 There's two photographs of the real A1/1 I stuck to my old Apple Mac, to help with the build. 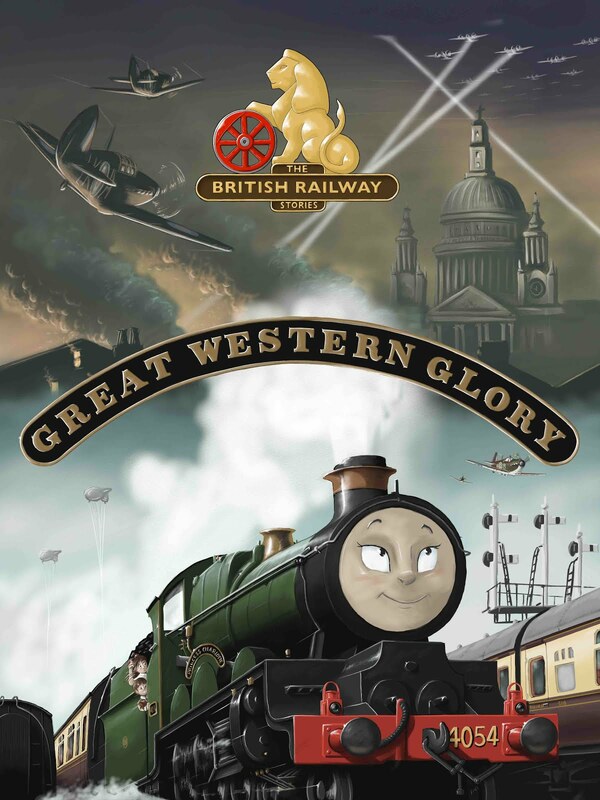 But what's that strange looking pacific locomotive behind Great Northern...?